Top Knot Detective, the greatest Japanese Samurai show that never existed. 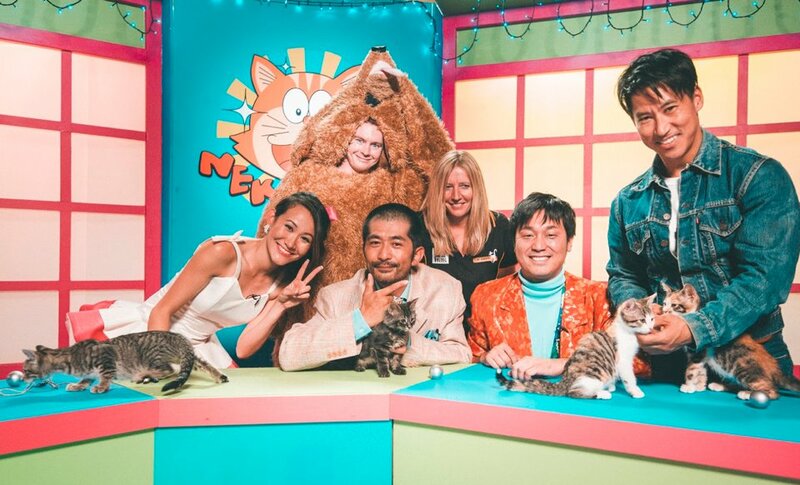 A mockumentary on how this made up show grew a cult following in Australia and following the unbelievable life of the TV shows’ starring man Takashi Takamoto. Takashi was not only the leading man, but also directed, wrote and edited each episode. He became the spokesman for the parent company Sutaffu, but also the prime suspect in the murder of its’ CEO. Well that was certainly a very surprising film, I didn’t read any spoilers before diving in. Perhaps I should have before hand, as for half of the film I didn’t realise it was a mockumentary! 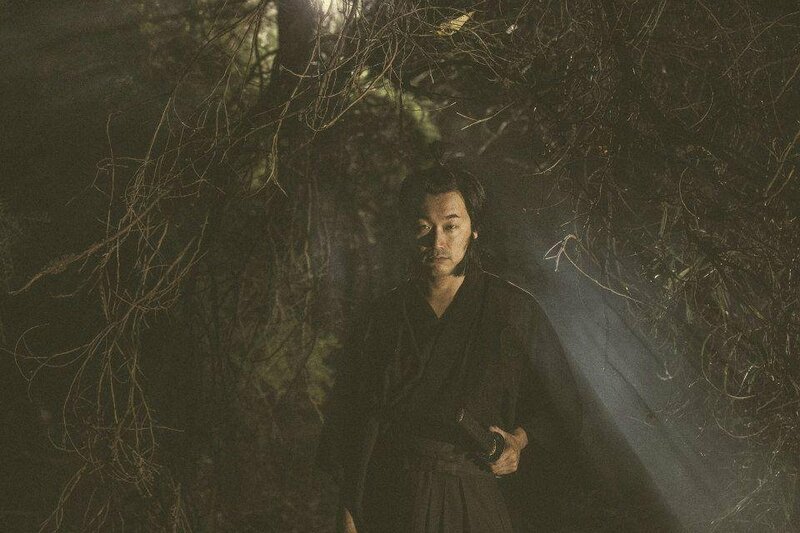 The story centres around a fake Japanese Samurai TV show, that in fact never existed in real life. The debut series for a new TV station, created by a company named Sutaffu. A brand well known for making poor quality knock off products of other famous brands. Using their most successful artist, they make him the new poster boy for the company. As well as branching out into TV, they give him the chance to create their debut show to captivate audiences. Well it certainly did just that. The show grew from strenght to strenght, but over time Takashi’s attitude became troubling. With the press swarming around his every move, he created a bad boy image for himself. He overshadowed his co-stars, who began to resent him. None more so, than the son of Sutaffu’s CEO – Haruto Koike. The characters in this film are truly interesting, as it becomes a documentary within a film. Takashi was branded as a very talented man, and first signed up to Sutaffu under a record deal. His fame gave him the opportunity to branch out into producing TV. Unfortunately he had zero experience or even talent when it came to acting. He was boastful when it came to praising his own heavily exaggerated talents, and it worked for a time. As only his close co-workers spoke about his flaws. This mockumentary focuses entirely on Takashi. By looking back on his beginnings with Sutaffu, creating Top Knot Detective, the media scandal by dating his fellow co-star and then the suspicious murder of Sutaffu’s CEO. With many different viewpoints on what happened surrounding the murder and Takashi’s attempt to flee the country. There are some that believed in Takeshi’s’ innocence, while others recount that he was a madman. Top Knot Detective, the TV show that Takashi created, is truly insane but reminds me of much of the TV shows that I used to watch as a child. With far less CGI and more props, the acting was actually quite good. Having been under so much pressure both with his famous lifestyle, associating with the Yakuza and creating the show, the scripts started to slip. Although the show focussed on a Samurai turned Ronin Detective, there were some questionable episodes with giant robots and disco dancing scenes that reflected upon Takashi trying to make the show relevant to audiences. It was truly bizarre, but came full circle in the inevitable end of the show. Although the closing scene was highly questionable, much like the ending of Grease as they flew off in a car. Off set, the rivalry between Takashi and Haruto increased. As Haruto’s resentment grew, do you think he was cunning enough to frame Takashi for the murder of his father? Or was Takashi more cunning than he let people believe, and managed to orchestrate the murder by leaving little to no evidence? It’s up to the viewer to decide that. This mockumentary comes from the creative team of Dublin born Assistant Director & Actor – Aaron McCann and Australian born Film Editor – Dominic Pearce. Lead actor Toshi Okuzaki who plays Takashi, was indeed a hidden talent, as he was actually an English/Japanese teacher in Australia. Masa Yamaguchi however, who plays Haruto Koike, is a trained stunt actor who has starred in The Wolverine, Ghost In The Shell and Hacksaw Ridge. The film was narrated by Des Mangan, the creator of the 1993 Australian comedy film – Hercules Returns. A cult classic in Australia, so it makes it a perfect fit for this film for Australian audiences. 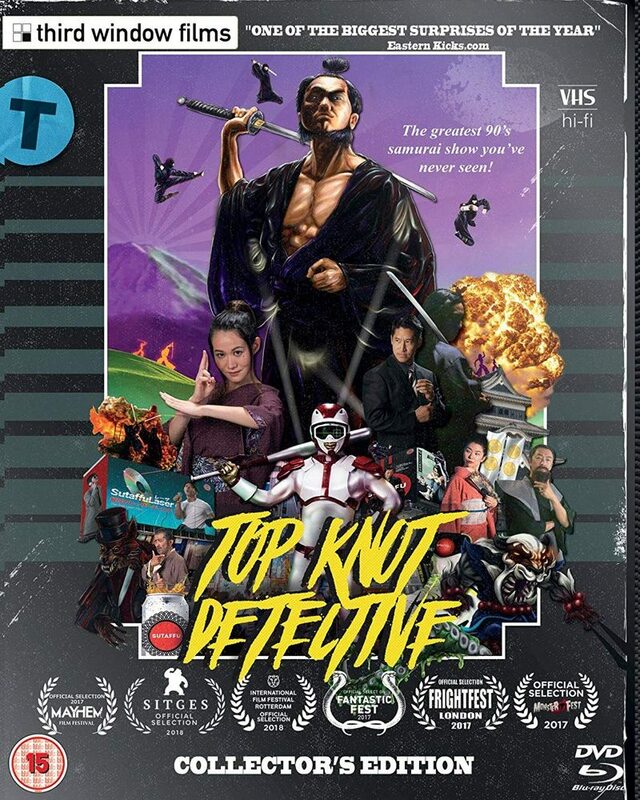 Top Knot Detective has been given both a DVD and Blu-Ray release from Third Window Films. Which will be available to buy by the time this review goes out. Although this film may not be to everyone’s taste, it is certainly worth giving a try. Like the catchphrase says, use your ‘Detective Reasoning’ to see if this film is indeed a homage to Japanese film & TV cult classics.